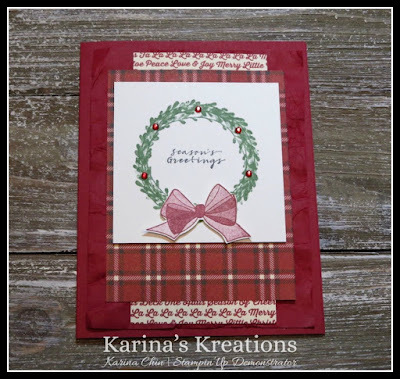 Karina's Kreations: Last Day of the Online Extravaganza! 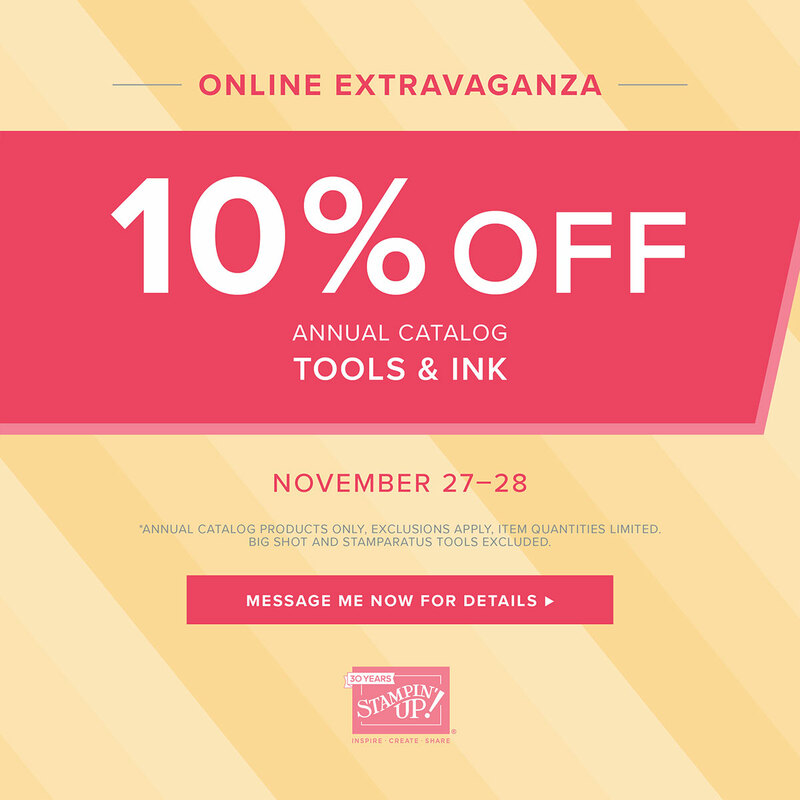 It's the last day of the Online Extravaganza sale. 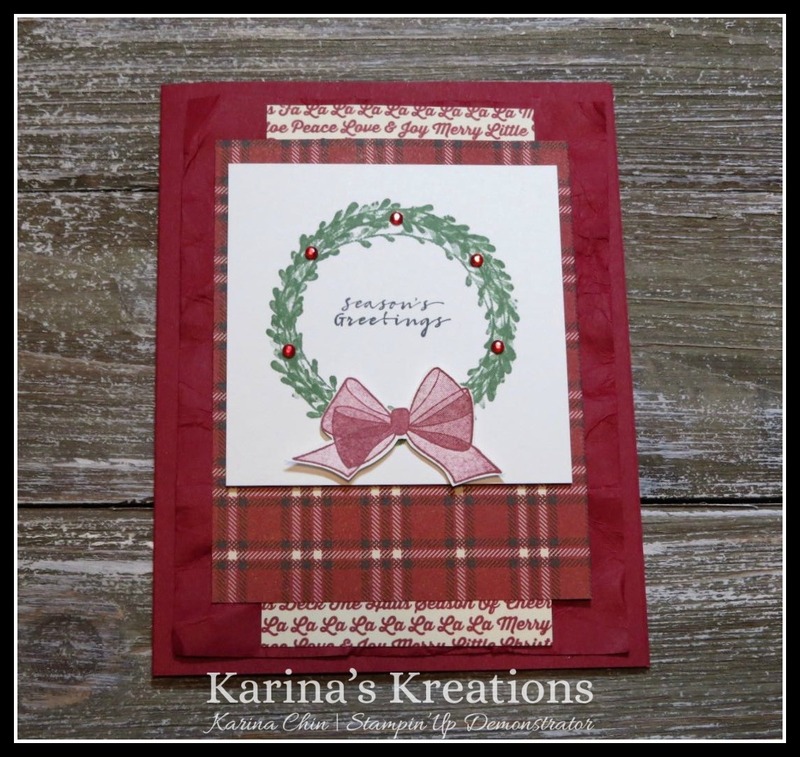 I'm offering a special promotion for orders of $60 or more. If you place a $60 online order Nov 28 using YJCKZS3W as the hostess code, I will send you 2 hand stamped cards, a treat and a package of Petal Pink Rhinestone Gems for FREE. To Place an order, just click on a product picture below. 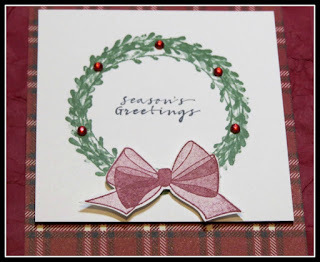 I made this beautiful card for my stamp set of the month. The stamp set is Wishing You Well. The set is a Distinktive stamp which gives you a shaded image as you can see in the bow.